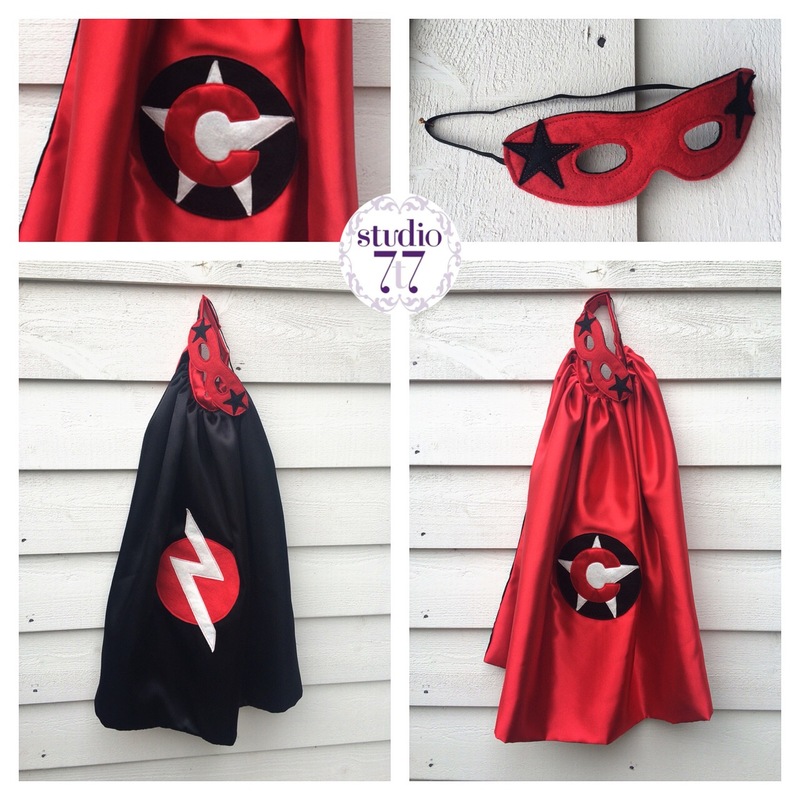 The new super hero cape and mask set from Studio 7t7 may look like ‘just’ some pretty cool dress up items, but maybe just maybe your little one with be encouraged to pick up his toys with his new found excitement? Or perhaps the little ones will be encouraged to help those that need it when they don their outfit? No? Well at the very least, they’ll be the talk of the playroom when they rush around in their own personalised super hero cape and mask. Fully personalised, each one is made from shiny soft satin and gorgeous soft wool mix felt. Choose any motif you like (if I can’t do it don’t worry I’ll message you and we can work together to make something you’ll love), choose your choice of colour and initial for the motif and I’ll get making. There are two price options – a fully reversible cape with a different motif on each side (for those who want to be able to switch their super hero persona!) and a regular superhero cape. Each comes with a matching mask so you can go in disguise! From all the enquiries on Facebook, it looks like an adult cape may well be on the cards – so watch this space! Can’t wait? I take commissions – simply message me. What would you like me to make next?